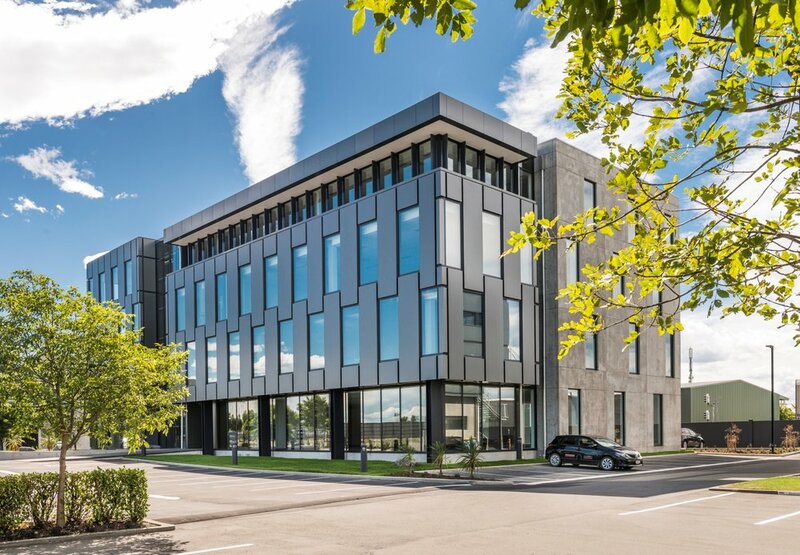 As we have designed all the buildings within the office park, we wanted this building to fit in with the others but required it to have its own identity. The entry to the building features two glazed lifts, these give the faÃ§ade a dynamic feel. The entry foyer features an exposed concrete stair wrapping around a timber acoustic wall. The stair is conveniently located to encourage usage between floors.